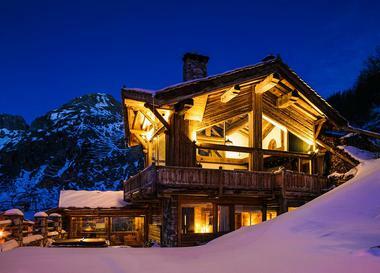 Located in the heart of Val d’Isère, this stone chalet was built about 200 years ago. "It has recently undergone a makeover, in keeping with the Alpine tradition," explains Val d’Isère Agence. Made of noble and authentic materials, it also impresses with its luxurious and refined decoration.” Providing 240 sq m of living space over three levels, the chalet offers a magnificent entrance with fireplace, a ski room, a sauna, a master bedroom of 27 sq m plus two bedrooms. Upstairs, daily life is organized around the large living room with fireplace. This 72 sq m space includes a kitchen next to the dining room. The upper level, on the mezzanine, has a TV lounge and a fourth bedroom. 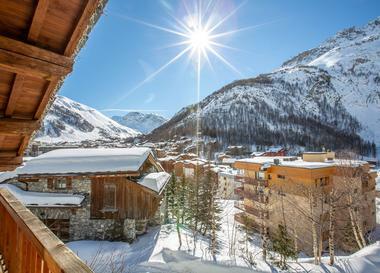 Ideally located a few steps from the main shops, bars and restaurants of the resort and near the slopes and ski lifts, this chalet combines the charm of authenticity and comfort of modernity.